To prepare the tomato sauce: Sauté the onions and garlic in olive oil until fragrant and lightly colored. Add the crushed tomatoes, basil, and oregano. Add salt, pepper, and sugar to taste. Simmer for 20 minutes. To prepare the pizza: Roll out the dough on a floured surface to a 1/4 inch thickness. Transfer the dough to a pizza stone or baking sheet. Spread an even layer of tomato sauce on the dough, leaving a 1/2 inch border. 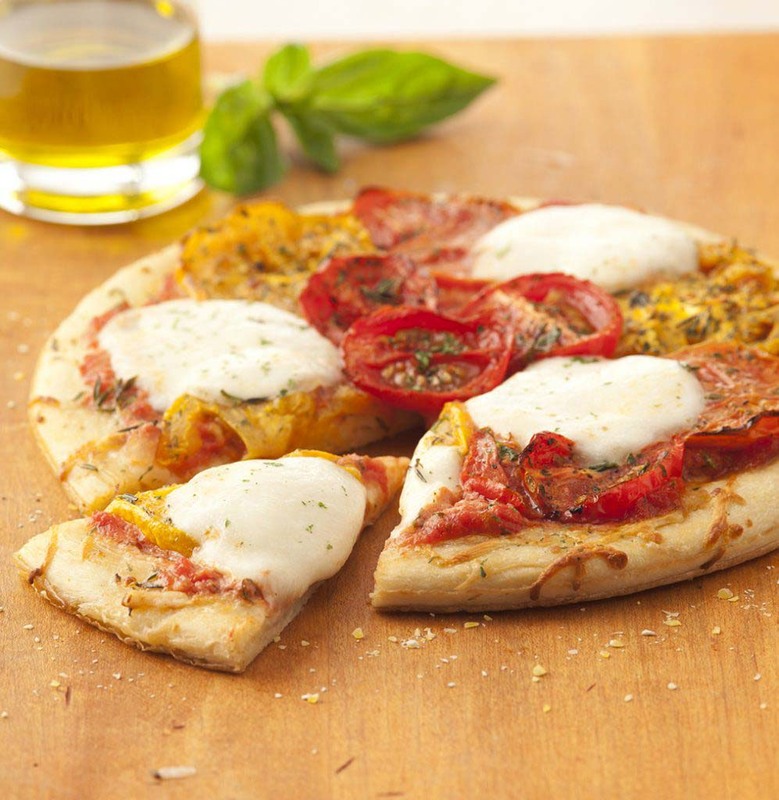 Top the pizza with alternating layers of fresh mozzarella and sliced tomato.